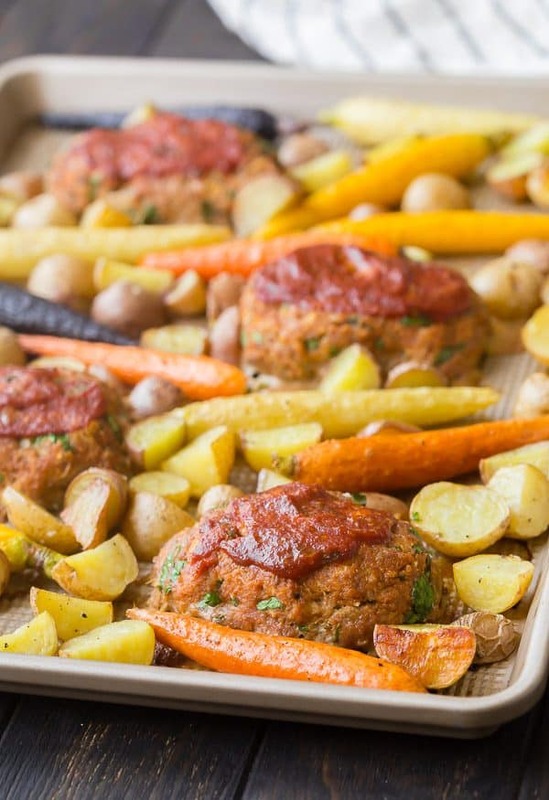 These Mini Turkey Meatloaves are for those meat and potato lovers out there! 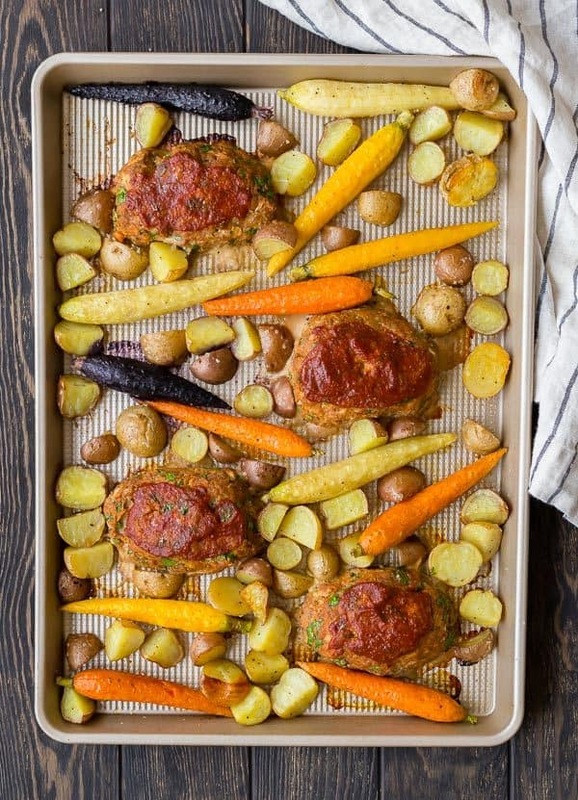 This is a complete meal, all on one sheet pan! You’re going to love this for an easy weeknight meal! Every time I mention to someone that I have this little recipe website of mine, people always ask for easy recipes. Well luckily for them (and you…and me, actually! ), Rachel Cooks is fullllll of easy recipes. I like to cook, but I also don’t really like to cook. Do you know what I’m saying? I enjoy creating and developing recipes and I really enjoy eating, but on a Thursday evening when I’ve been flying around all day and I’m exhausted? I’d just rather not, you know? That’s why you’ll find so many quick and easy recipes here. Oh, and I don’t like to do dishes either – enter one pan meals and sheet pan dinners. I know without a doubt that you guys all feel the same way. 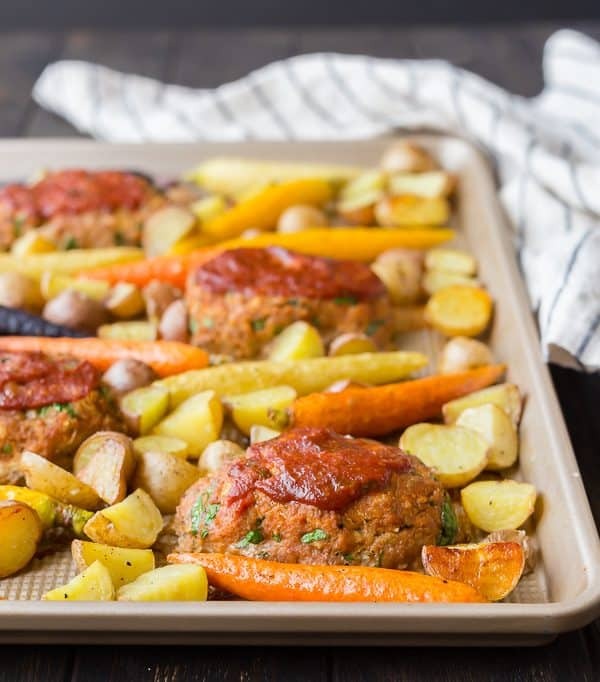 With that all said, even though this meatloaf isn’t the most seasonally appropriate, it is going to become one of your favorites for busy weeknights. It doesn’t take long at all to throw together and then it’s almost all hands off. You can help the kids with their homework or throw in a load of laundry while it cooks. Tip: Choose ground turkey with a 93/7 fat percentage for the best results with this recipe. If you go for the extra-lean ground turkey breasts, your mini meatloaves will be much drier. To make this recipe even quicker and easier, I used fun “petite” rainbow carrots (got mine from Trader Joe’s – they come already peeled!) and small potatoes so the prep time for the vegetables was minimal. You could of course use large potatoes and regular carrots, just make sure to cut them all into approximately equal sizes, and not too large or they won’t cook in time before the mini turkey meatloaves finish cooking. 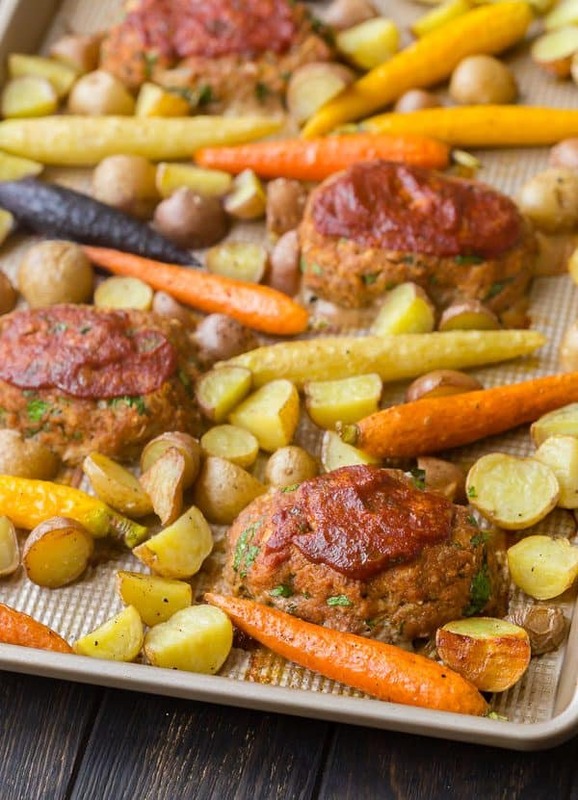 Make these Mini Turkey Meatloaves your own! Make it Whole30 Compliant: Use almond meal/flour instead of breadcrumbs, or skip the breadcrumbs completely. Use a Whole30 compliant ketchup (I used Tessamae’s – not sponsored, just love it – it’s sweetened with dates!). Use different vegetables: No one says you have to do carrots and potatoes. Try sweet potatoes, radishes (roasted radishes are delish! ), green beans, asparagus, or any of your favorites. Keep in mind that green beans and asparagus only take about 10 minutes to roast, so add them at the end. Use Different Breadcrumbs: You could use Italian seasoned breadcrumbs and omit the Italian seasoning. Panko would also work in this recipe, and whole wheat breadcrumbs are always a great idea! I also like to use oats for a gluten-free alternative. Use a different kind of meat: We love turkey but if you prefer chicken, beef, pork, veal, or a combo, feel free to do it that way! 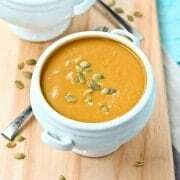 Make sure to keep the fat content relatively low, though, or your vegetables will be cooking in a pool of fat and won’t get nice and golden brown and crisp. Cheese is always a good idea! Try mixing 1/2 cup of shredded cheese into your meat mixture for extra flavor and moisture. Cheddar, Parmesan, and Mozzarella would all be solid choices. When you guys make these, make sure to share them on Instagram with the hashtag #RachelCooks and/or come back and leave a comment! I want to see what twist you put on them! Combine ground turkey, onion, egg, ketchup, Italian seasoning, pepper, salt, and bread crumbs. Mix until just combined (I use my hands). Do not overmix. 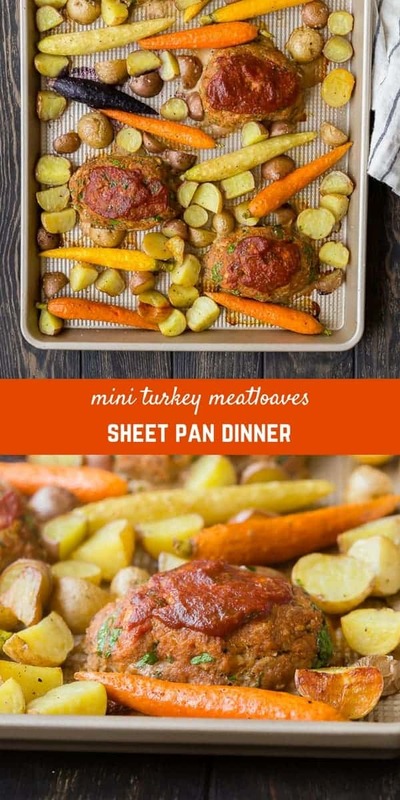 Divide meat mixture into 4 even-sized mini meatloaves and place on a rimmed baking sheet (sheet pan). Toss the potatoes and carrots with olive oil, salt, and pepper in a large bowl or a zip-top bag. 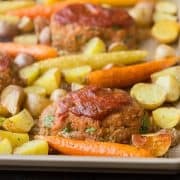 Arrange potatoes and carrots around meatloaves in an even, single layer. Bake for 20 minutes, stir potatoes and vegetables carefully, and return to oven. 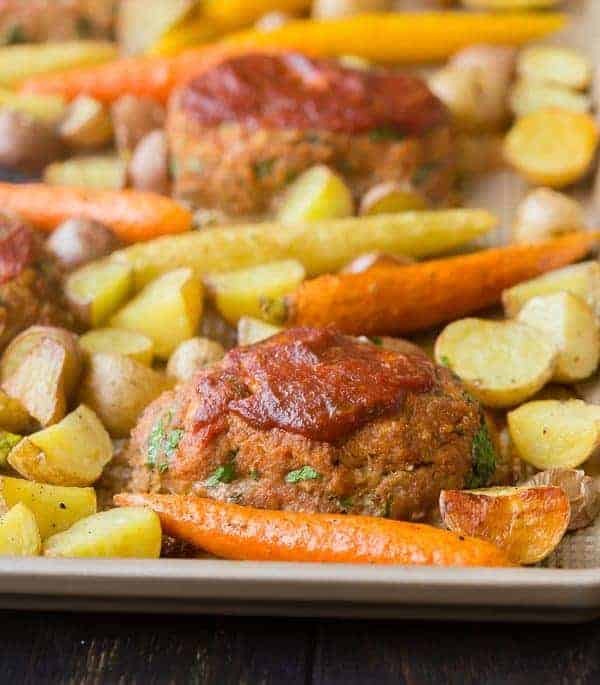 Continue to cook for 10-15 minutes or until internal temperature of meatloaves registers as 165°F on an instant read thermometer and potatoes and carrots are tender. If desired, top meatloaves with additional ketchup in the last 2-3 minutes of cooking time. To make Whole30 compliant: Use almond meal/flour instead of breadcrumbs, or skip the breadcrumbs completely. Use a Whole30 compliant ketchup. 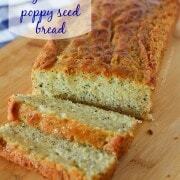 To make gluten-free: Use oats or oat flour instead of breadcrumbs. Verdict: I am so happy with how these turned out, and I know you guys are going to love them too! 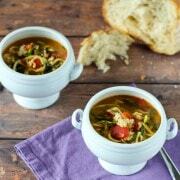 Such a great classic meal with a healthy and easy twist. It’s a winner! Husband’s take: Ben loved this! I think it was one of his favorites recently. Changes I would make: None are necessary, but make it your own in the ways I mentioned above! Any suggestion for an alternative to ketchup? I recently discovered I allergic to tomatoes in different forms…but ketchup does bring the necessary zing to things especially meatloafs. Thanks if you do. Hi Shenise! So sorry to hear about your allergy, that’s so hard! I would suggest a brown gravy – turkey, chicken or beef would be good. It would add some moisture and flavor that the ketchup adds. If you wanted the “zing” of ketchup, you could try adding a couple teaspoons of vinegar to the meat. If it’s just ketchup and you can handle other forms of tomatoes (I’m guessing that’s not the case, but maybe this will help others), BBQ sauce or marinara sauce would be good. This looks so tempting. Surely gonna try the recipe this weekend.